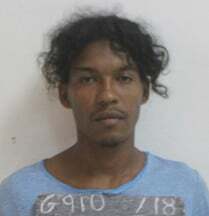 Travis Evans, the murder accused who was one of the three inmates who escaped from a holding bay of the Lusignan Prison early on Monday morning, is now back in custody. Director of Prisons Gladwin Samuels confirmed that Joint Services ranks apprehended Evans, a resident of ‘C’ Field, Sophia, around 7.45 am yesterday morning at the Soesdyke-Linden Junction. Samuels said various search teams responded after a reported sighting of Evans in the area. I wish to commend all those persons who assisted and I now encourage others to be equally helpful,” he added. Prior to his escape, Evans, 23, who is known by the alias ‘Short Boss,’ was a remanded prisoner who was charged with murdering Ronsley Clarke. 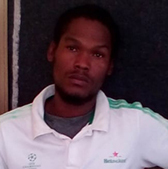 Clarke, 21, of Fire Station Road, Timehri, was shot twice about his body in full view of his friends on August 2nd. 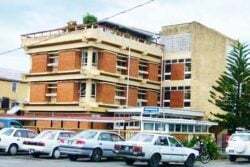 The shooting occurred around 7.30 pm at ‘C’ Field, Sophia and is suspected to have been the result of an old grievance between the Clarke and Evans. 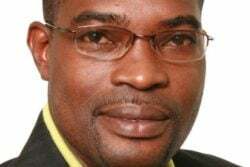 Clarke was with his girlfriend at a party in Sophia where Evans allegedly whipped out a firearm and discharged several rounds in his direction. Clarke was hit twice. 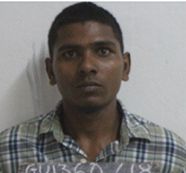 A manhunt was launched early on Monday morning after Evans along with Dextroy Pollard, of Wales Village, West Bank Demerara (WBD) and Sudesh Dyal, of Wales Backdam, WBD, fled by scaling the fence of the prison holding bay. At a media briefing, Samuels blamed lack of vigilance by the officers on duty for the escape of the men, who scaled the fence around 4.30 am. Samuels explained that at the time of the escape, several ranks—both prison officers and the police—were on duty at the prison’s Holding Bay. The Holding Bay facility is divided into three sections, which are referred to as Holding Bay 1, 2 and 3. “The first prisoner would have crossed at 4.29 am (Monday) and the last person went over somewhere about 4.32 am (Monday),” he had said. Prior to them going over the fence, Samuels said, they would have made a lot of efforts to part the razor wire along the fence in order to make their way through. Several search parties was deployed in several areas in regions Three and Four, where the inmates were suspected to have fled. However, up to yesterday afternoon, there were no sightings of Pollard and Dyal. Pollard was sentenced to two years last week after he was found guilty of break and enter and larceny. Dyal was remanded on a charge of break and enter and larceny and he had also been charged with escaping from custody.